A local museum provides valuable community resources. American children face a play deficit. Compared to 20 years ago, children are spending less time with their families and playing outdoors and more time sitting in front of a screen. 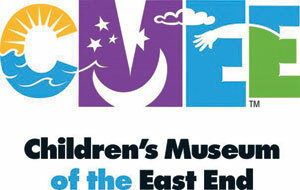 To help address these issues, the seven founding mothers of the Children’s Museum of the East End (CMEE) were inspired to create a hub committed to providing the opportunity to play for all children in the local community. Their inspiration became reality when CMEE opened in October 2005 in Bridgehampton with more than 7,000 square feet of exhibition and program space. Many assume the East End of Long Island would lack for nothing due to the great wealth associated with The Hamptons. In fact, the community is diverse. In contrast to the stereotype, one out of six children lives in poverty. In addition, the area has a higher percentage of immigrants than Suffolk County as a whole. In East End school districts, Latino students make up more than one-third of the student body. The large concentration of foreign-born residents has contributed to high levels of illiteracy in the region. In Eastern Long Island, one out of seven residents is functionally illiterate, meaning he cannot read a bank statement, a medical prescription, or a child’s report card. In addition to developing hands-on exhibits and hundreds of interactive programs for the public each year, CMEE is committed to working with local organizations to address community issues. Staffers participate in meetings with local social service providers to discuss how the museum’s resources can help them improve their services. For example, by collaborating with Long Island Head Start, the museum can increase access to preschools for families who had been denied because of lack of classroom space. Working with the Retreat, which assists families affected by domestic violence, CMEE provides play therapy for children while their parents are receiving job skills training in the museum’s classroom. To help area residents who are functionally illiterate, CMEE has developed a literacy curriculum to teach language acquisition and reading to young families. In cooperation with the Flying Point Foundation for Autism, CMEE serves as a venue for respite programs for families with autistic children. And during meetings with the Group for the East End and the Southampton Town Disability Advisory Committee, CMEE staff learned that there is only one wheelchair-accessible trail in Southampton Town. To ameliorate this situation, the museum is developing walking trails on its property that will be accessible to people using wheelchairs, as well as to families using strollers. Not only do CMEE’s partnerships help address issues in the community, but they have also led to increased awareness and support for the museum. This is apparent from CMEE’s attendance and memberships figures, which have increased 25 percent within the last two years. The museum has become one of the most visited in the region. Serving as a community resource would be impossible without funding to turn on the lights, maintain the heat and air conditioning, and keep the facility clean. For these reasons, fundraising events, such as the museum’s annual CMEE in the City party, are vital to the museum’s success and growth. At its most recent CMEE in the City dinner in February, CMEE was thrilled to honor its outgoing board president, Heidi Wald, and her husband, Jonathan, for their enormous contributions. CMEE packed a full house into Desmond’s Restaurant in New York City to raise a toast to the Walds and enjoy delicious food. Bryan Batt from TV’s Mad Men provided hilarious musical entertainment. Thanks to all of to the event’s supporters and honorary chairs, the Children’s Museum of the East End raised more than $100,000 for its continued community-oriented initiatives. Stephen Long is executive director of the Children’s Museum of the East End in Bridgehampton, New York, where he has boosted visitation by 35 percent throughout the past three years and opened the Head Start Preschool program. Long spearheaded the use of interactive and distance-learning technologies in the museum’s k-12 educational offerings and oversaw an active school outreach program. Formerly, he was curator and vice president of Education and Collections at the Lower East Side Tenement Museum. He has also taught museum studies at the City College of New York and at New York University and produced radio documentaries in Washington, D.C.